Happy Five Minute Friday! Today, I’m sharing May’s Paper Pumpkin kit, which arrived with plenty of time to make some Father’s Day cards. The cards in this kit are perfect for the special Dad in your life. We all know how much Dad loves the outdoors and camping and plaid. These cards will put him in the mood to hit the woods. Or the trail. You know that Dad likes to kick back on his couch and watch a game or two. 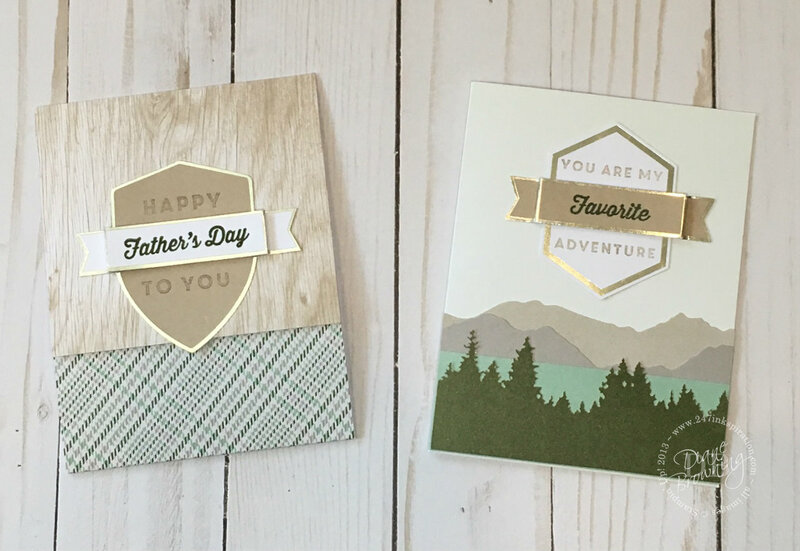 These cards are just like Dad – handsome and uncomplicated. (I almost said simple, but that might give the wrong impression if I said that Dads are simple.) Show up with food and cold beverages, and you’ve won their heart. This kit comes with plenty of supplies to make 10 cards. I don’t know about you, but I personally don’t have 10 Dads. One thing to keep in mind is that you don’t have to make 10 Father’s Day cards. There are several different stamps to choose from in the kit. I’ll be using my extras for another project. Be sure to check back on Monday to see what else you can make with the May Paper Pumpkin kit, with just a couple extra supplies. You’re going to love it! 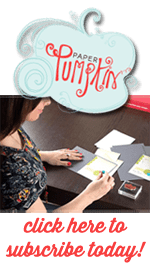 Stampin Up almost never gives us a sneak peak of what’s coming in the next Paper Pumpkin kit. But this month, the cat is out of the bag. 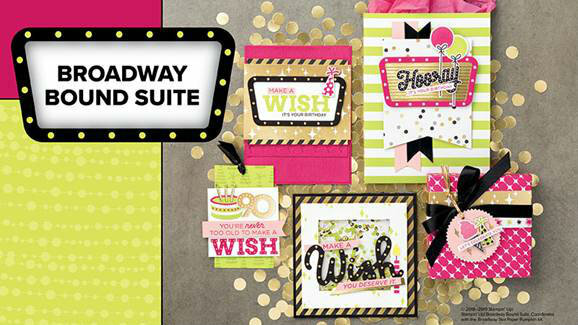 Our June Paper Pumpkin kit is going to match the brand new Broadway Suite in the new Annual Catalog. We don’t know what the projects will look like, but we now know the color scheme. I’m so excited to see what the projects will look like! Don’t miss out on the June kit. Make sure you’re subscribed by June 10th (this Sunday) and you’ll be on the list!